A female Anna’s Hummingbird on her nest at Boyce Thompson Arboretum in central Arizona. Females of this species normally have extensive red iridescence on the throat but rarely on the crown. October to September. Seriously. Anna’s Hummingbirds nest as early as mid-October in Tucson, and Violet-crowned and Broad-billed hummingbirds may nest in spring and again during the late summer “monsoon,” fledging young as late as mid-September. 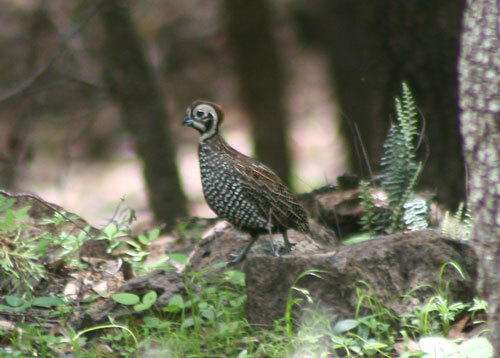 No one species nests year round, but Arizona’s 11 breeding species cover 11 months of the year. Addendum for the rest of the U.S. and Canada: In southern California, where the climate is mild and Anna’s, Allen’s, and Costa’s are year-round residents, active hummingbird nests can be found any month of the year. In coastal central California, with resident Anna’s and migratory Allen’s, the seasonality is similar to Arizona, with a hiatus starting in late summer and lasting until late fall or early winter. 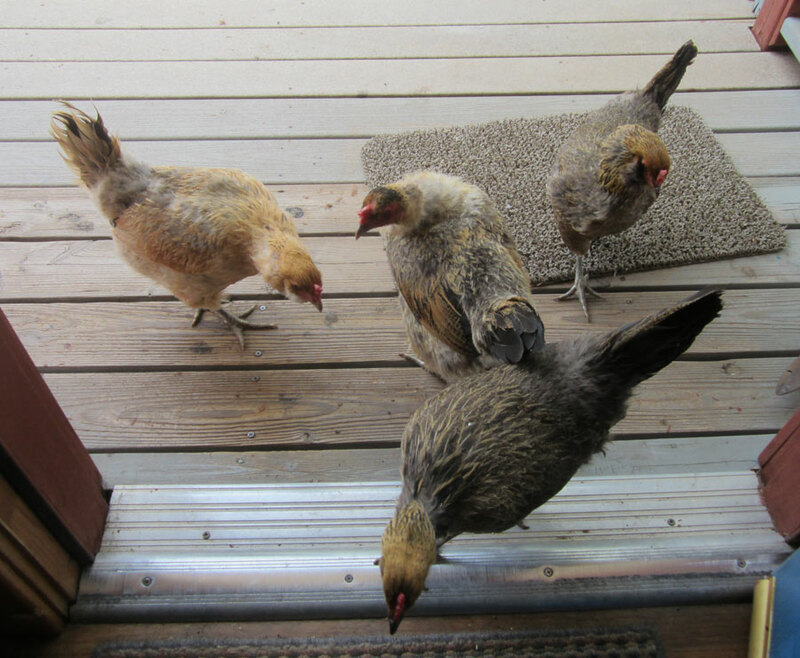 The nesting season shrinks as you go further north, inland, and/or higher in elevation. Anna’s nest from mid-winter to late summer in coastal southwestern British Columbia, but the smaller, migratory Ruby-throated and Rufous hummingbirds don’t even arrive at the northern edges of their ranges until mid to late May, respectively. Exceptionally late northern nests, such as an active Ruby-throated nest in Ontario, Canada in early September (Birds of North America), may represent females taking advantage of abundant late summer resources to get in a third (or even fourth) nesting attempt, while increasingly early arrival and nesting dates are expected in response to climate change. For more detailed information on hummingbird life cycles, including isochron migration maps for the four most common and widespread species, see A Field Guide to Hummingbirds of North America. I know your job is usually to ignore copyright and intellectual property infringements (except when it involves the IP of Disney and other powerful and highly litigious corporate entities), but could you please take a moment to ignore this probable violation of federal wildlife law? Though the skulls are not identified by the seller, they are obviously not from common domesticated birds such as poultry or pigeons, ornamental gamebirds such as pheasants or peafowl, or common cage birds such as parrots or finches. They appear to be from wading birds and seabirds and were most likely salvaged from nature. Since the seller is in the United States, it is almost certain that the skulls belong to species that are protected under the Migratory Bird Treaty Act. If these items are in violation of the MBTA, their sale, purchase, and shipment are also violations of the Lacey Act. If these skulls do not belong to native birds covered under the Act and were legally acquired and legal to resell, there should be a statement to that effect in the description of each item and some documentation to back it up. If not… well, I’m not a lawyer, but I’m sure you’ve got the resources to figure out the exact legal ramifications for the company. Sheri -Thanks so much for contacting Etsy. As you may know, by using the site, each person agrees to comply with Etsy’s policies and with applicable laws. Also, Etsy is a venue which is comprised of third-party or user generated content. Etsy is not a juried site.Thanks so much for sending this link to Etsy. If you have questions about a certain seller’s material, you may choose to respectfully contact that person with an inquiry. Etsy complies with our policies and we remove material when we are notified by proper authorities and have reason to believe that the material is not in compliance with Etsy’s policies. Update: As of September 20, the store is still online but is now empty. the U.S. Fish & Wildlife Service stepped in? Etsy decided, without direct prompting from federal officers, to enforce its own rules? all the illegal items sold, and “soultosoul19” needs to scavenge more bird carcasses off the beach to restock his/her shop? The last option seems unlikely, as Etsy shop pages usually list the numbers of sales, but the fact that the shop is still on line is troubling. I’ll be keeping an eye on it just in case. This blatantly manipulative hoax keeps going around and around and around Facebook, and I’m beyond sick of it. One version currently has 8,725 shares, even though people have debunked it over and over in the comments. It’s frustrating as hell to see a debunking comment followed by a string of “aw, poor birdie” comments, then another debunking and another string of… well, you get the idea. No one seems to be taking credit/blame for this garbage, but the originator is an idiot who’s needlessly upsetting goodhearted people. Wildlife biologists and rehabilitators don’t report birds dying from gum clogs (Google it). Birds aren’t so stupid that they can’t tell gum from bread (which they shouldn’t be eating either). The birds in the photo are swallows, which eat only insects, and the dead one has been hit by a car. 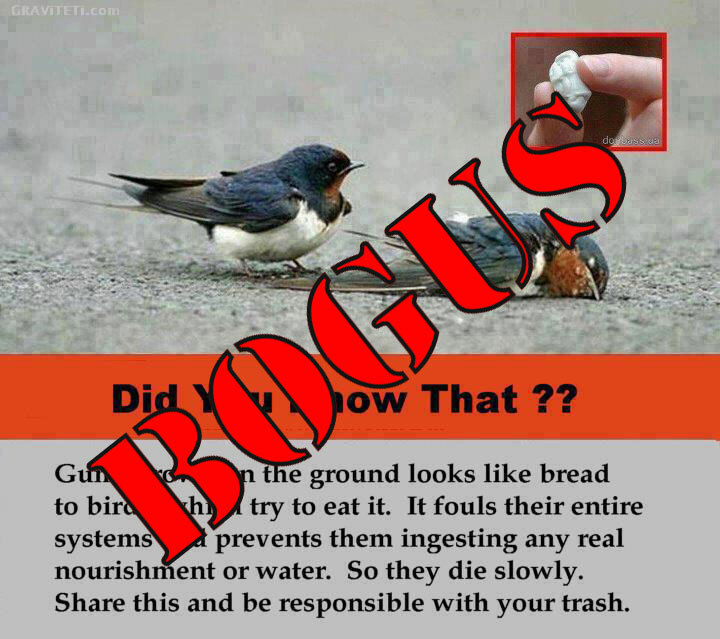 There are valid reasons to toss chewing gum in the trash instead of on the street, but saving birds isn’t one of them. Please don’t “like” these posts, don’t share them, and inform any friends who share them that they’re perpetuating a hoax.